You love ice-cold cocktails or hot tea? You adore sweet goodies and acidic food, but you can’t throw yourself into enjoying them, because your teeth are sensitive and every sip causes sharp pain? Tooth sensitivity causes daily discomfort and pain to every second adult. This stabbing and sharp pain can occur when consuming hot, cold, acidic or sugary food and drinks, and can even happen when inhaling hot air. The primary compound of the tooth is the so called dentine, which continues in microscopic canals where the terminal nerves run. Tooth sensitivity can develop either when the dental enamel protecting our teeth becomes thin or the gum recedes, leaving the epithelial cuff – the sensitive layer below it – unprotected, thus reducing the protection of the teeth and the roots. This causes a painful feeling, since the protective layer disappears, leaving the terminal nerves uncovered. Worn dental enamel, which can be the result of brushing teeth with an excessively hard bristle tooth-brush, or excessively hard rubbing. Caries, worn, decayed filling and injured teeth, leaving the dentine uncovered. Erosion of teeth, caused by ingesting acidic food and drinks. Pyorrhea, which leaves the root free, the gums recedes. Gnashing of the teeth at night, which can be the sign of stress. Does constant and unexpected pain make your days difficult? 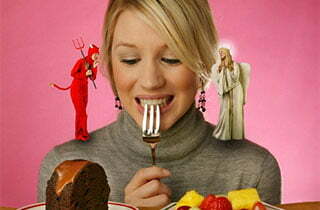 Are you afraid of drinking, or eating? Does the situation seem hopeless? You don’t have to worry anymore, there is a solution. Firstly, go to see your dentist! This visit is essential to discover the cause of tooth sensibility, so that the dentist can treat it easily. It can be treated if the sensibility is caused by caries, or an aged filling. If the symptom is caused by pyorrhea, then gum replacement by a paradontologist can be the solution. Do not rub your teeth too hard during brushing, because with this you won’t only remove the plaque from your teeth, but probably damage the tooth enamel as well. Brush your teeth with a soft bristled toothbrush, in a 45 degree angle to your gum. This keeps the teeth and gum clean and strong. Brush your teeth twice a day, and use dental floss once a day. When you consume acidic foods and drinks, wait at least one hour before brushing your teeth. Do not grind your teeth at night! If you are tense, it can happen that at night you grind your teeth. 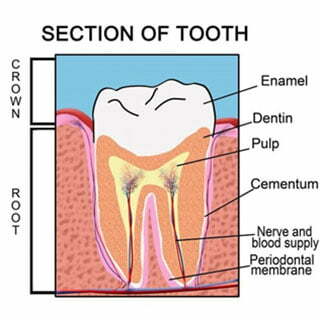 Consequently your tooth enamel becomes damaged, deteriorates and grows thin. Purchase a tooth protector from your dentist, which you should wear during sleep, so as to prevent the grinding of your teeth. Give a rest to teeth whitening! Do not whiten your teeth for a little while! Teeth whitening can cause temporary tooth sensitivity. So you should ask your dentist about how this procedure affects your teeth, and if it IS worth to go on with the treatment. Nowadays, a lot of people suffer from tooth sensitivity; many do not treat the tooth illness behind this unpleasant problem. Please, keep in mind that treatment is important, but prevention is even more important. The above mentioned tips help you in the prevention too. At the first sign of tooth sensitivity visit your dentist. Try to protect your tooth enamel, because once it is gone, it will not grow back. Up to an ice cold cocktail!